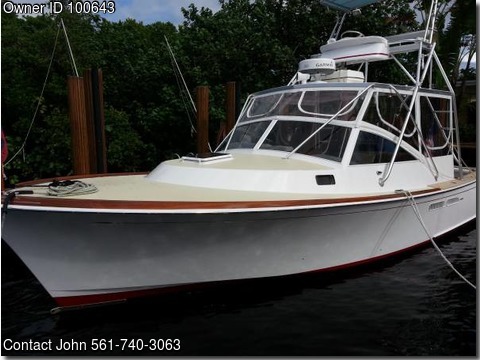 Boat is located in Ocean Ridge,FL.Please contact the owner @ 561-740-3063 or caddellinc@gmail.com...1992 custom, cold molded with glass covering, fresh awlgrip and refurbished through out with twin 370 HP Yanmar Diesels. Bruce King designed and built by Hodgdon Yachts in Boothbay Harbor Maine. This is a truly beautifully maintained and elegant yacht/fisherman and the only one ever built to the original design.